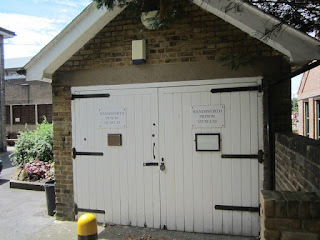 Back in 2008, the Duke of Kent cut the ribbon on the official opening of the Wandsworth Prison Museum. The tiny museum, tucked in an old garage was stuffed to the ceiling with artifacts and documents from the more than 150 year history of Wandsworth Prison. The volunteer curator, a serving prison officer named Stewart McLaughlin, has tended the museum and its artifacts before and after that date. In 2014, the museum shuttered its doors for several years while plans were put in motion for an expanded museum. Earlier this year, the new museum finally opened its doors. 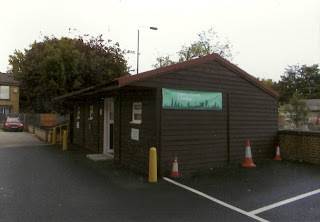 Located off on Heathfield Road, in the north parking lot, the new building is much more spacious. Unfortunately, due to limited resources and the voluntary nature of the curator's position, the museum is only open by appointment. On the other hand, several Open House events have taken place since the museum reopened and there is always the potential for more. I asked Stewart if he could send me some photographs of the museum and particularly the display around Josef Jakobs and the wartime spies. He kindly complied. Below is a photograph of one of the display panels. It includes some page copies from the After the Battle magazine volume #11 - the volume that dealt with the World War 2 spies sent from Germany. 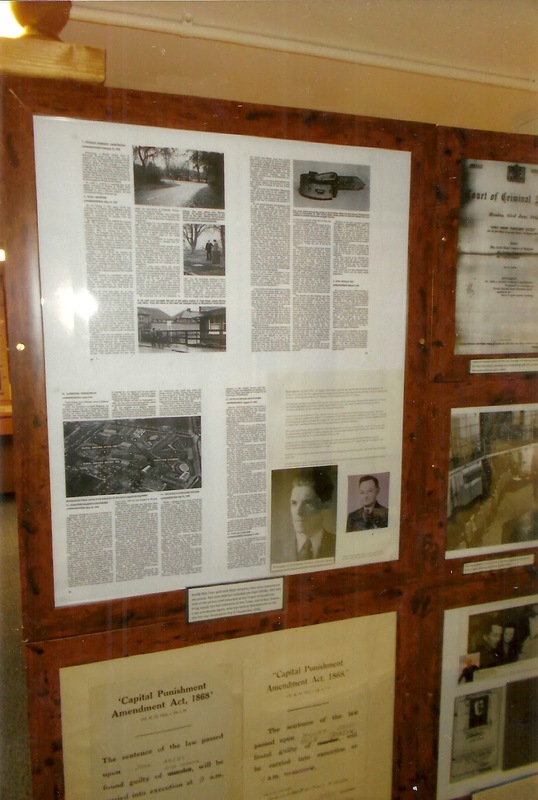 The story of Karel Richter and his execution struggle (from After the Battle) are the two top images of the display. 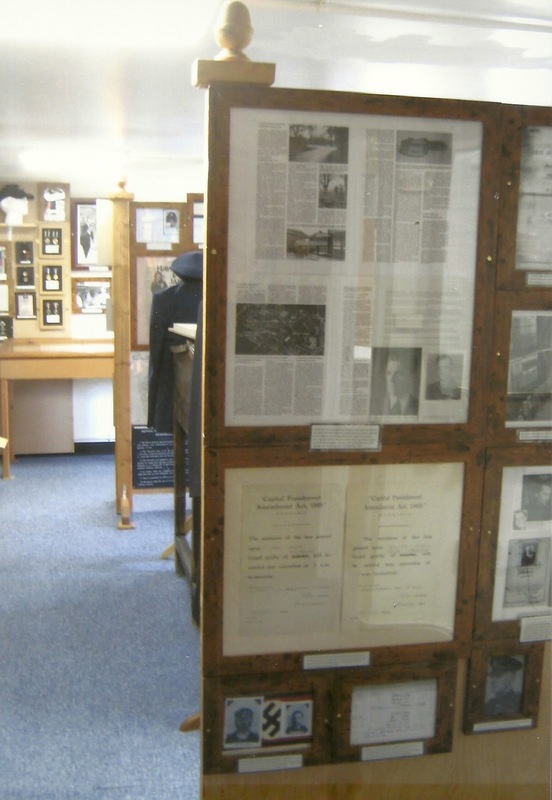 There are also two photographs in the top part of the display, one of Double Agent SNOW and one of Josef Jakobs, a copy of the photograph that I shared with Stewart. A slightly better image of the above panel, including the photograph of Josef, as well as Double Agent SNOW. The text above Josef's photo outlines, briefly, his story from capture to execution. 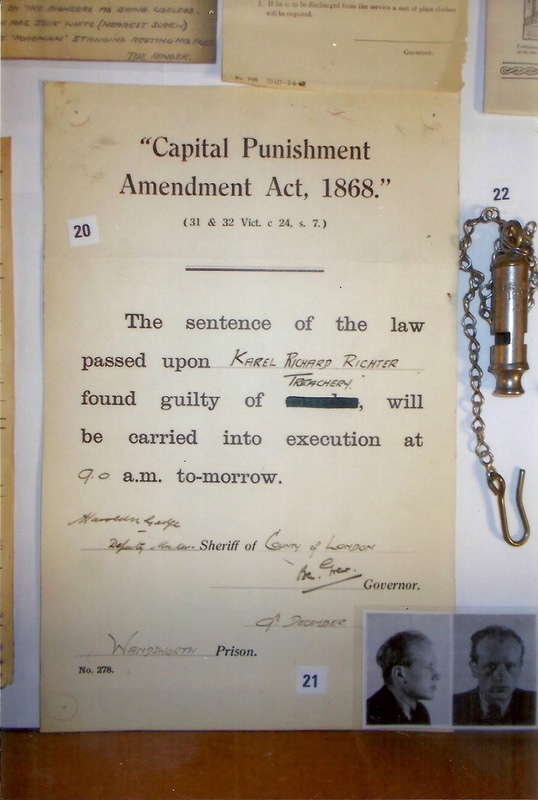 A neighbouring panel has some information on Karel Richter who was executed at Wandsworth Prison on December 10, 1941. For those who are interested, the following websites all deal with the Wandsworth Prison Museum - both the old and the new version. There are many more photos of other artifacts in the museum which might be of interest. Many thanks to Stewart for sharing the above photographs with me. For those wishing to book a tour of the museum - you can contact Stewart McLaughlin here. Making the Marrow - Open Day at Wandsworth Prison... Museum. Just the Museum.